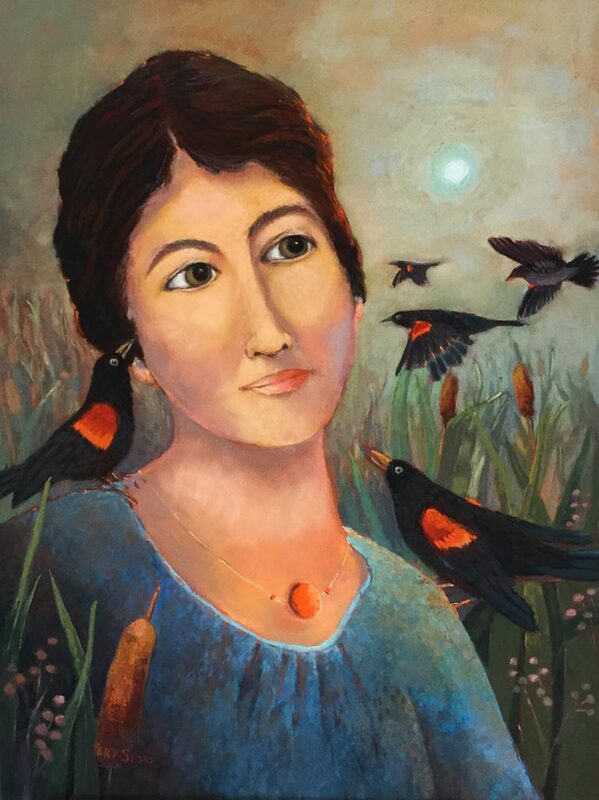 Walking along the high street, my attention was drawn to a painting of a woman surrounded by red-winged blackbirds.. The focus of her wide-open eyes seemed to be turned inward, as did that of her ears. It’s named Listening to Music. I entered the artists’ co-op and among the delightful paintings and prints found others titled Listening for Wisdom, Listening for Advice, and Listening for the Truth. The artist, Teri Sloat is also an accomplished children’s book illustrator and author. Intrigued, I asked Teri about her Listening series. She responded, “With all the good of social media there is chaos as well and noise, and in the last couple of years so much sharing of political chatter. I stay active on social media but needed to start a series of what I saw as I listened to my own voice. I most often find my true direction in solitude and in nature. I am sitting right now on a small lake in Northern Minnesota, enjoying quiet times, often filled with humor shared with friends as we watch the antics of loons while kayaking. I can hear myself think here. Teri’s exhibit is called, A Quiet Strength. I see the “Quiet Strength” of both the person―a mature woman in touch with herself, and Earth‘s life forms. And I also feel that she depicts the strength and power of the receptive activity of listening. This vital feminine quality comes so alive in her paintings! That’s my penny’s worth. What’s yours? Please share your viewpoint. Make a little space to jot down your responses and send them to raphaelblock@raphaelblock.com. That way we all grow. 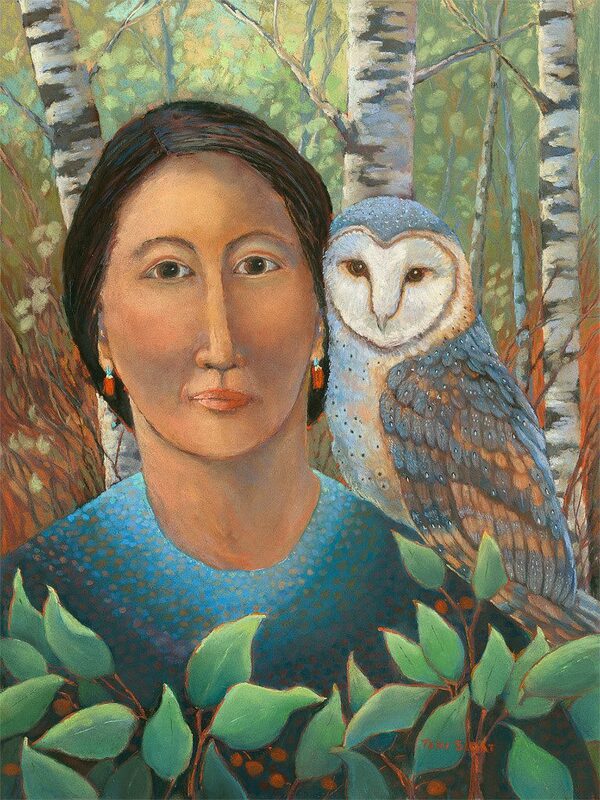 You can see more of Teri Sloat’s work on her site at this link.